This is not a “sponsored post,” we don’t any money for writing this article. I saw the commercial for Wendy’s Berry Almond Chicken Salad and had to try it out. I did not expect the salad to actually be good! Healthy fast food seems like an oxymoron but Wendy’s may have hit the nail on the head with this one! Berries – fresh and stacked high. Most places would skimp on the berries because they are costly. However, Wendy’s spared no expense. Dressing – Nice, light, combination vinaigrette that’s roughly 50 calories per packet. Lettuce – It was a combination of “spring mix” and iceberg lettuce. 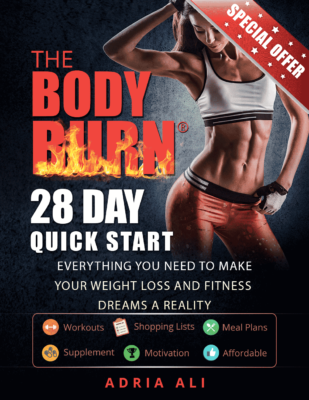 Nice combination without feeling like you got ripped off. Almonds – Sliced and packaged. I didn’t choose to use mine because it saves about 100 calories. I’d recommend this salad to any of my clients, family or friends. 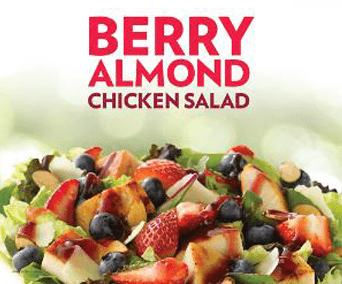 It’s cheaper then a dine in restaurant and better then your average “fast food salad.” If you haven’t had a chance to try Wendy’s Berry Almond Chicken Salad then it’s time you did! It’s refreshing in the summer heat and will help shave off some of those extra calories during the day.